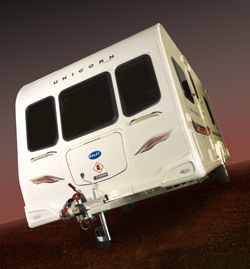 The Bailey Unicorn models, with a new level of interior refinement, arrive on retailer sites from 1st September onwards. For those who appreciate the finer things in life, the limited edition three-model range named after Spanish cities is, of course, of Alu-Tech construction. Seville is a two-berth model with end washroom, Valencia is a fixed nearside bed with end washroom and the twin axle four-berth Barcelona is the same layout as Valencia but sports a capacious fridge freezer in the kitchen. All models are very upmarket looking with Walnut furniture finish, a dedicated illuminated drinks cabinet set in contrasting kitchen lockers, a stainless steel microwave, luxurious looking soft furnishings, new style pleated window blinds, high gloss worktops, a Belfast style sink and new style storage in the washrooms. The dual fuel Alde hot water and heating system includes a 24 hour timer, heated towel rail and heating vents. The stylish graphics, with 3D resin name badges, 15ins alloy wheels and new style gas locker door are eye-catching. Add the feeling of spaciousness with the headroom, Heki II roof lights and carefully located 12v lighting system with down lighters and you have your own four star, all season, holiday apartment on wheels. Go on, buy it before the VAT rise! These prices are guaranteed subject to ordering your caravan from the earliest production availability and that you take delivery within 14 days of dispatch from the factory. Your Bailey retailer will make a charge of up to £495 to cover the cost of various additional services carried out prior to you taking possession of your new Bailey tourer. The main cost element will be the cost of transporting your tourer from the Bailey factory to your vending retailer’s premises. Check the details with your Bailey retailer. Bespoke caravan bedding sets (model specific) to co-ordinate with the upholstery options; comprises two fitted sheets, one duvet and duvet cover, one bed runner, two pillows and cases and two bed scatter cushions. The sets are sold complete, ordered via Bailey retailers and add 6.0kgs of weight. The Recommended Retail Price is £199. There is also a matching bed throw available at an extra cost of £79. With all the safety and security features that come as standard on the whole range of caravans, insurance premiums start from as little as £169* for the Seville model, £179* for the Valencia and £240* for the twin axle Barcelona. *Caravan insurance cost based on Bailey Unicorn Seville valued at £16,995; Bailey Unicorn Valencia valued at £17,995 and the Bailey Unicorn Barcelona valued at £19,695. All fitted with hitchlock, AL-KO ATC, approved tracking device and alarm system, AL-KO Secure wheel lock (all standard on this range). Kept behind 24 hour locked gates in HX4 0BE. Caravanners over 30, caravanning club members with no claims in last 3 years. Inclusive of Insurance Premium Tax at 5%, includes an online discount of 10% and correct as of 18.08.10. This is poor. Bailey have known about this weakness at that point for ages. They really should have sorted it out by now. Bought a new Unicorn Model Vigo March 2014 very nice van a few problems dealer was excellent . Now it has to go back to the Manufacturer it has a a crack above the door this was noticed in October they cant get it back to April . Bought the Valencia 2 new in 2013, had a few niggles which were rectified without fuss at the first service, the Alde heating its fantastic, once you get your head around the controls, generally we love the van, my wife in particular likes the extra work surface in the kitchen area and storage space. Have put our Barca to bed for winter after one full season 2 minor problems seal around under bed door leaked and toilet roll holder fell off all repaired by Dinmore Caravans and ready for next April up to North Wales, really looking forward to it, one of the best caravans on the road can fully recommend this one. Glad to hear you got things sorted Alan – and just in time for the New Year! Bought our new Unicorn Cordoba October 2013. Water pump a bit noisy, But very pleased with our van, heating system is great, temperature was -4c during November. Beds very comfortable Rear singles could be a little wider, lighting system very modern No problems with any equipment…Just love this van been caravanning 36 years…. 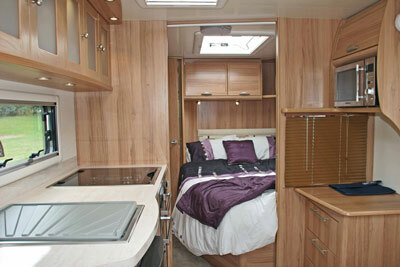 Great to hear the positive feedback on the Bailey Dave – sounds very cosy for the winter! We’d encourage other blog users to share their experiences of the Unicorn – just add a comment. We bought the Barcelona 1 in April 2013 to replace a Lunar and the best you can buy, a wonderful caravan, bed as comfortable as any, the Alde heating is superb as is the tall fridge/ Freezer we’ll done Bailey. I have had a Unicorn 1 for the past year and covered almost 5,000 miles. The lock on the battery compartment was fitted upside down and if I had not spotted this, the battery was in danger of falling out. The grab handles are a poor design and a potential source if water ingress (I notice they have been redesigned on the mark 2 Baileys). I have had to remove the spare wheel and carry it inside up front to get the nose weight right for my tow car (BMW X3). 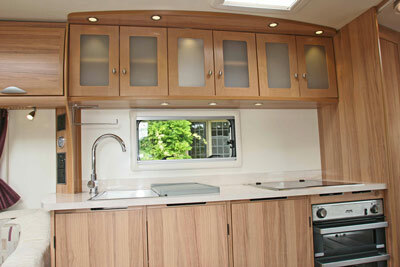 A comfortable caravan in all seasons with an excellent washroom. 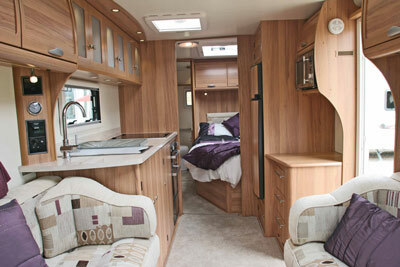 we have bought the new bailey unicorn 2 and we love it. the best part is the extra work surface and cupboard. We have just had our Unicorn Barcelona serviced and have been told that the led lights on the front grab rails are not covered by the 3 year warranty so we’ve had to pay for a new front offside led to be fitted, the problem we have now is this new led strip is a yellow colour where the original nearside led strip is a crisp bluey white, this makes the caravan look stupid with different colour leds. I complained to United British Caravans who told me the only thing they can do is fit another yellow led to the front nearside to make them even, so I’ve got to go from a crisp bluey white led to a horrible yellow led and I have to pay for the privilege!! Time to write to Bailey I think, leds should not fail after 2 years and about 8 caravan outings!! we bought in june 2012 a pegasus rimini its lovely non flowery upholstery a butler sink in bathroon which is a nice size pleased with van this is not our first bailey I like the cupboard space that you dont have with the new huge front window models. We bought a New Valencia Feb 2011 & didn’t notice till we got it home that one of the windows was leaking its been in & out of the workshop ever since & is still leaking we took it out this weekend & when we arrived on site there was water on the wooden sill again, when I closed the blind later the inside of the window frame fell off !!!!!!!!!!!!!! !